I love so many of the pages in this Logic Book Quiet Book. 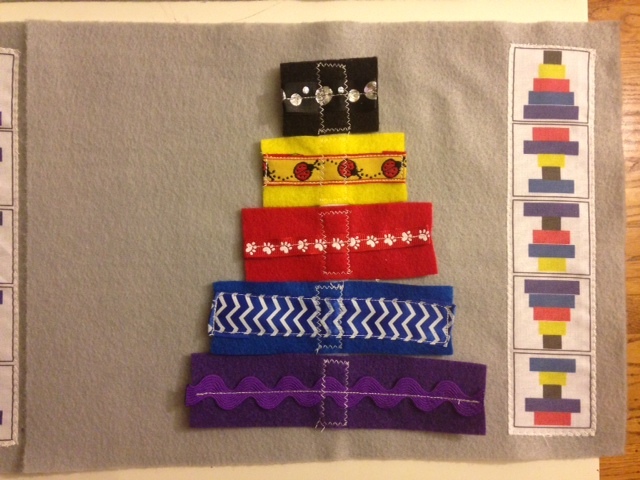 So for round two of our quiet book page swap I chose to make a Colored Strips Pyramid. Well, 16 of them. 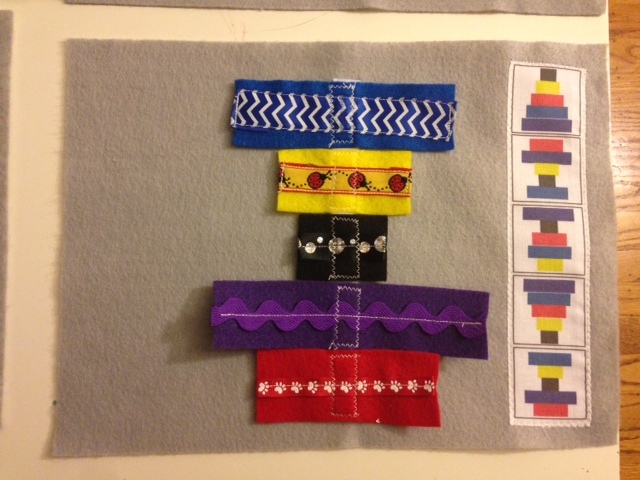 The idea is for the child to build a design they see to the right using the five felt strips. My sister designed the digital file showing the 5 examples so I could print them at Spoonflower. 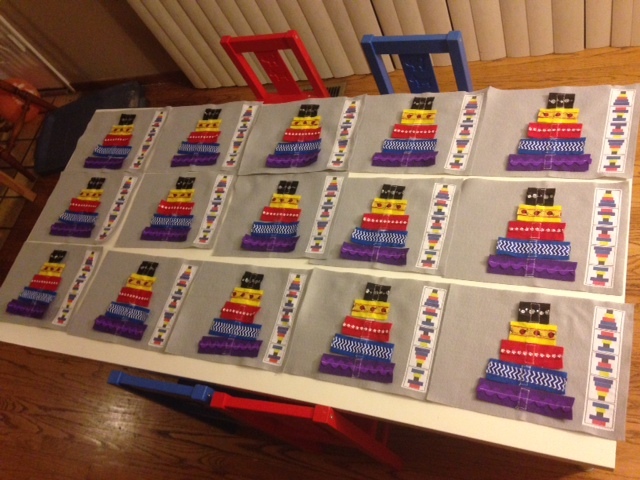 It was totally worth it to me to pay for the print-on-demand fabric so that I didn't have to deal with tiny pieces of felt to make 80 patterns! My pages are 9" x 12". I attached the fabric with the example designs and one 7.5" strip of velcro onto the page. The 5 felt strips measure 1.5" tall, with widths of 2", 3", 4", 5" and 6". 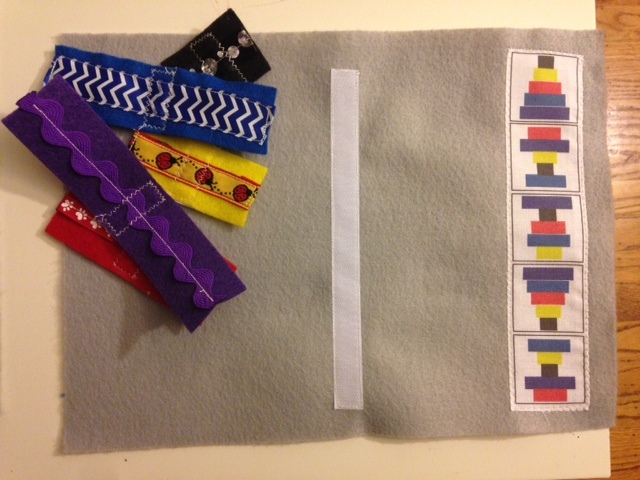 I added ribbon for visual and textural interest and each felt strip has a 1.5" piece of velcro on the back. I've linked up to Anything Goes Monday at Stitch by Stitch. Posted in Kid Stuff. Tags: quiet book on August 12, 2014 by sarah.